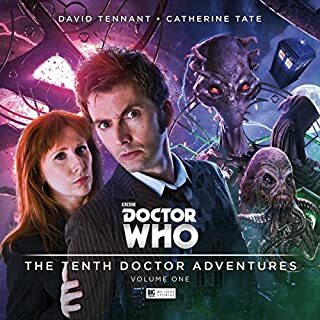 When a horrific and inexplicable death occurs at Space World, a new theme park on Hampstead Heath, Brigadier Lethbridge-Stewart and UNIT are called in to investigate. The Doctor is highly suspicious. Just who controls the Parakon Corporation, the shadowy organisation behind the running of the park? What is 'Experience Reality'? And what are the limits of its awesome powers? I'm a big fan of Doctor Who and the Pertwee years might be my favorite. 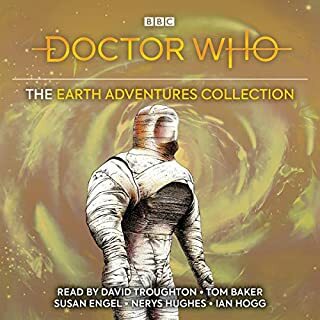 It was wonderful to find this BBC radio adventure, which is as good as the best TV series adventures. The story is imaginative and fun and the characterizations are spot on. It's even presented in segments, complete with dramatic clifhangers. 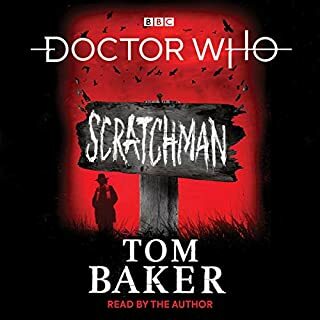 All "Third Doctor" fans will love this adventure. 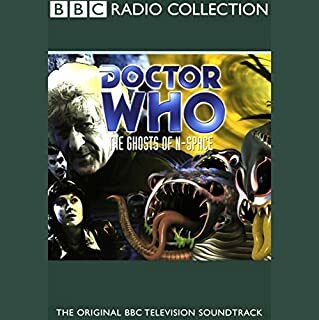 Pertwee and company only made one other radio adventure and it was a bomb. This Who is a whole lot of fun. Excellent production values, direction, acting and writing. I like radio dramas that are made for the radio. I don't like tons and tons of narration. If you have to narrate, you're not doing it right. In fact, zero narration is best for me. That's one reason I heartily recommend this program. It's clever and funny stuff that is done with utter seriousness (the best way to do comedy). 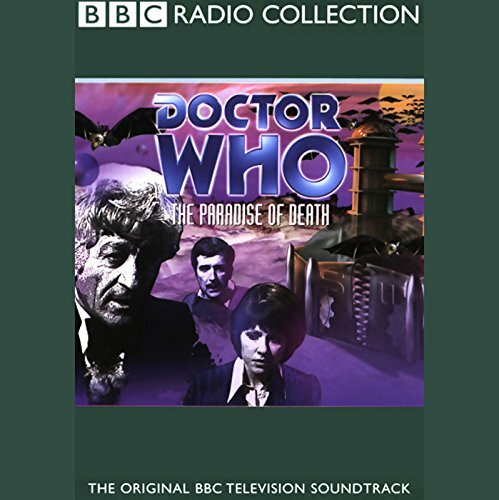 I can honestly say that Paradise of Death is my favorite Dr. Who experience. It's a permanent part of my iPod. Perfect for any Whovian! This audio play is just like watching the show. The acting is great and you can envision the characters running about on one of their wild adventures! Which character – as performed by Jon Pertwee and full cast – was your favorite? Jon Pertwee himself was fantastic! All the actors played their characters marvelously! Excellent although not a tv story still the same excitement and drama and you can visualise it all. Great to hear Jon Pertwee again, and in a story that I didn't know. A good yarn, which would have been all.wrong on TV, as the special effects of the time would have been ludicrous. In the imagination, though, they were spot on. Sarah Jane is as much a liability as ever, and the Brigadier was more effective than usual. Good story, mostly good script, good voices. Well worth a listen. 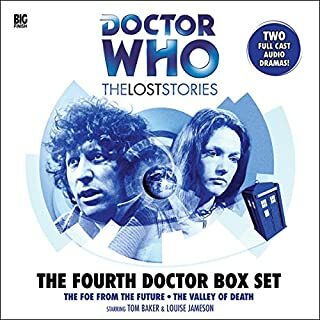 Feels like a lost story from the Third Doctor's era, right down to the sound effects and music.